On the 14th March 2018, Project Forum looked at why extreme right-wing ideologies are making a comeback. The 14th of March is a difficult day for Slovakia. On the anniversary of the founding of the first Slovak Republic, Slovak neo-Nazis and far-right groups of all shades descend upon Bratislava to celebrate a state which was born under the auspices of Hitler and exterminated c.70,000 of its own citizens. In their masses, they quash the possibility of discussing nuances or critiquing the past, ignoring the suffering the first Slovak republic caused and outshouting the facts. Yet, the team at Project Forum refuse to allow themselves to get used to being outshouted and, together with the Open Society Foundation and the Old Market Hall Alliance, arranged the Central European Forum on Fascism. At the forum, the speakers discussed the idea of whether fascism it is making a comeback, what forms this might be taking and which similarities can be seen between these forms all around the world. In Slovakia, the most prominent form that the extreme right takes is that of the ultranationalist L’SNS, which currently holds 14 seats in the Slovak parliament. Following the double murder of of the investigative journalist Ján Kuciak and his fiancée Martina Kušnírová, this party’s response was to state that: “An international criminal has been executed.” Project Forum subsequently asked how a democratic society can resist such nihilism and what leads to this mass of hatred – what is its internal logic and what makes voters trust it? 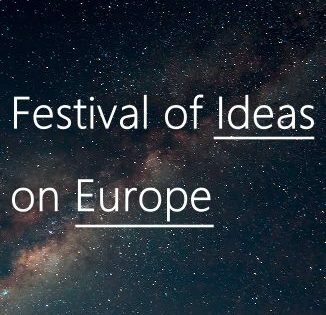 The Central European Forum on Fascism thus provided a platform for discussing these questions and for seeking to examine what fascism is like in the eyes of those that are attracted to it. Elisabeth Åsbrink is a Swedish writer and journalist, who is based in Stockholm and Copenhagen. She is the president of the Swedish Centre of PEN International and currently also a producer at SVT [the Swedish public television provider]. She has produced more than 30 popular radio shows within the SOMMAR in P1 (Summer at P1) series and has been nominated for the Swedish Publishers’ Associations’ August Prize for all three of her books. Her book, And, in the Wienerwald, the trees are still standing, won the August Prize in 2011 and has been published in Slovak by the Absynt publishing house. This book is also a winner of the Ryszard Kapuściński Award for literary reportage and the Danish-Swedish Cultural Foundation Culture Award. Elisabeth Åsbrink’s latest book, 1947, was published in Slovak only last month and is an ambitious historical report, in which the author reconstructs a single year shortly after the end of WW2. And, the year 1947 isn’t just part of our past, it is a year which has also shaped the contemporary world around us. Abdelkader Benali is one of the most highly awarded Dutch writers of his generation. He was born in Morocco and his family moved to the Netherlands when he was four years old. During his childhood, the family lived in Rotterdam, where his father worked as a butcher, and, when Abdelkader was 21 years old, he wrote the novel Wedding by the Sea and became a literary star. Both readers and critics received the novel enthusiastically and the book has since been published in several languages. For his next novel, The Long-Awaited, he received the Libris Prize. In addition to novels and plays, Abdelkader Benali has published essays and reviews in Dutch and German newspapers. Benali is also an avid long-distance runner and his book Marathon Runner focuses on his failed attempt to improve on his best result of 2:52:19 in the Rotterdam Marathon. Abdelkader now lives in Amsterdam and, while his parents are practising Muslims, he is a non-believer. He writes in Dutch but also speaks both Berber and English. Roger Griffin is a professor of modern history at Oxford Brookes University. He is widely acknowledged to be one of the world’s foremost experts on the socio-historical and ideological dynamics of fascism as well as the relationship of various forms of political or religious fanaticism. His publications include The Nature of Fascism (Pinter, 1991), Modernism and Fascism: The Sense of a Beginning under Mussolini and Hitler (Palgrave, 2007), and Terrorist’s Creed: Fanatical Violence and the Human Need for Meaning (Palgrave, 2012). Michal Havran is a writer and the founder and editor-in-chief of the Slovak online current-affairs website Jetotak.sk. This debate will be live streamed and a recording will also be put online post-event for those unable to attend. To watch the live stream, simply visit https://www.tttdebates.org/ on the evening of the debate. To keep informed of upcoming media content from this and all other TTT debates, you can follow us on Twitter and/or Facebook, where we regularly publish updates about the availability of new material. A dramatised reading and an interview. 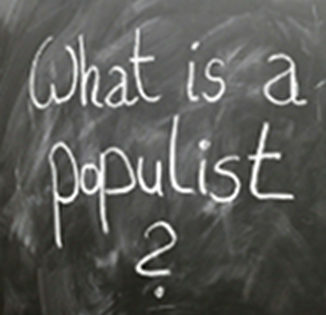 19.00 – 20.40 )( WHY IS FASCISM MAKING A COMEBACK? 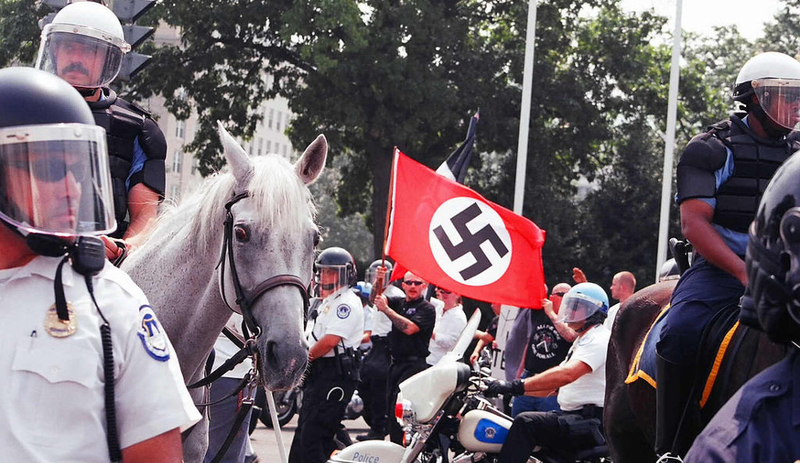 What are the new faces of fascism and why is the ideology making a return? What is it that draws people towards ideologies of hatred? An autograph signing of the Slovak edition of Åsbrink's book from the Absynt publishing house. 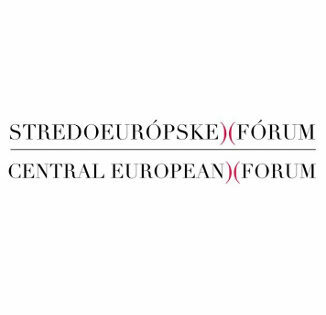 The Central European Forum on Fascism has been organised by Project Forum, together with the Open Society Foundation and the Old Market Hall Alliance.